The Society was established with the primary objective being to create a forum for the exchange of ideas and to advance the use and processing of coal. There are two types of membership available, namely corporate and individual members. 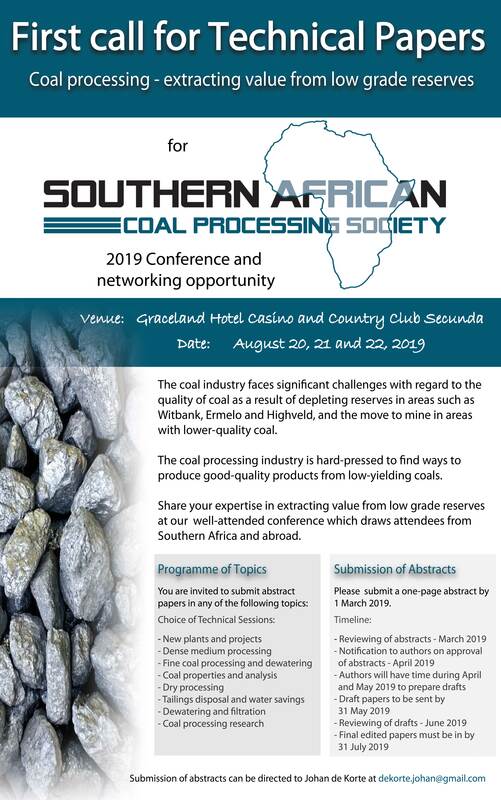 A biennial conference and exhibition is arranged as well as an awards banquet held annually celebrating successes in the industry and its members. 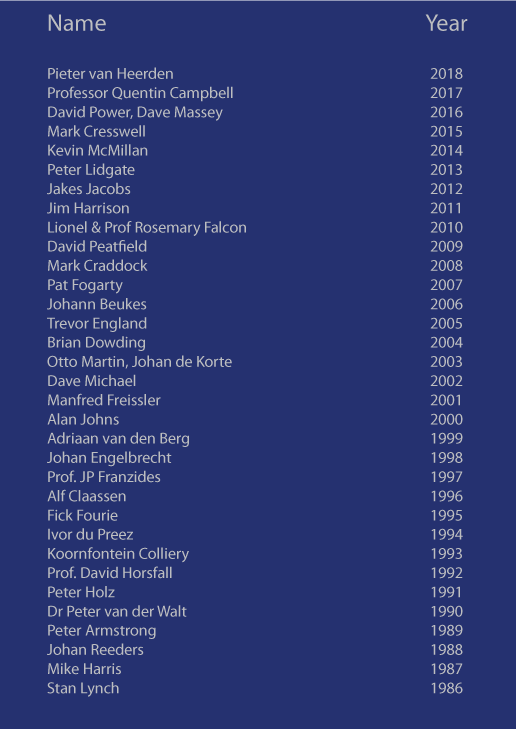 The Society’s AGM was held on 15 March 2018 where the Chairman, Jayson Jacobs gave an overview of the activities of the Society over the past year and the Treasurer, Gerrit Lok, presented a review of the Society finances. The SACPS Technical Workshop was held on 29 August 2018 at the Dome, the Ridge Casino, Emalahleni. The focus was on DMS and topics covered included coal marketing, coal geology, large plant operations, equipment, screening media, pumps, cyclones, etc. 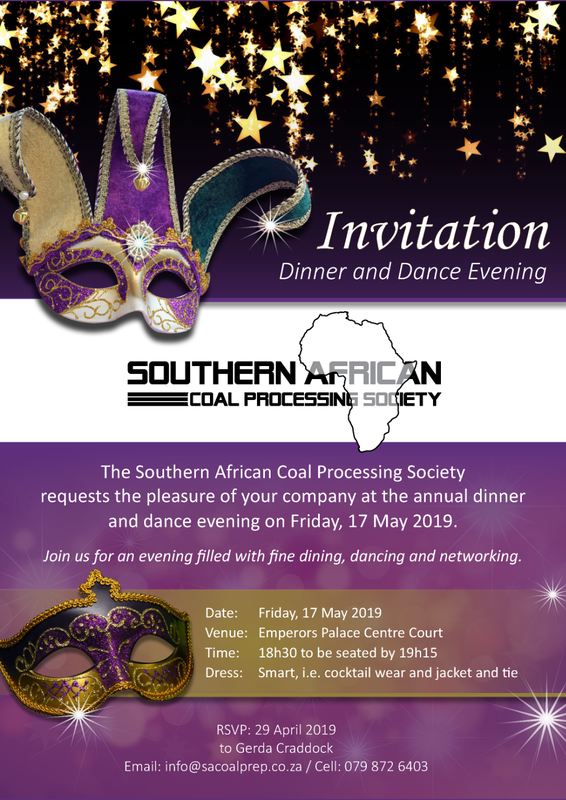 The annual awards function and dinner dance also celebrating the society’s 50th year anniversary took place on Friday 18 May 2018 at Emperors Palace, Kempton Park, Gauteng. The special edition 50th year anniversary books are available at R500.00 excluding VAT. The companies listed below support coal processing in South Africa and this website.